In this 27th day all eyes will be on the Municipal Stadium of Braga, since it is the great game of the day. FC Porto and Benfica continue their arm given in the league table of the NOS League. This “fight” promises to be intense until the end of the season. 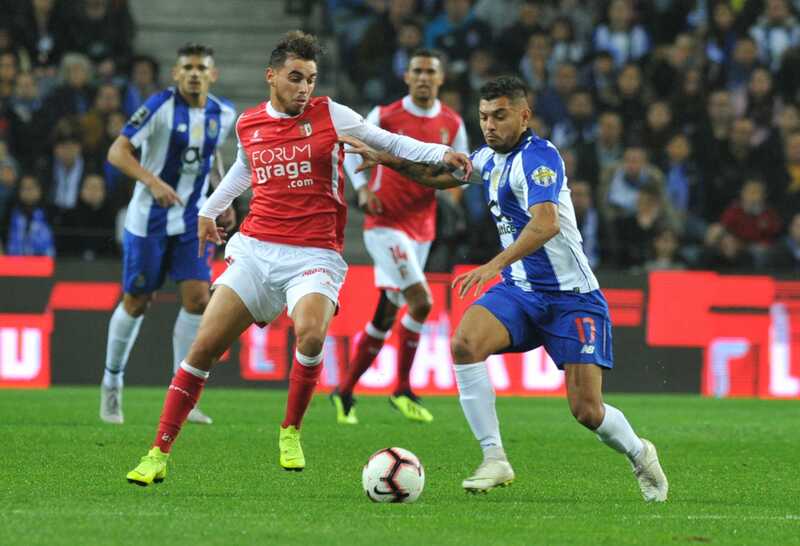 However, this move to Braga is one of the most difficult games for the dragons, and of course the eagles will be very attentive to a possible “fall” of the blue and white team. That is, it may even be one of the decisive games for the final accounts, as far as the title of champion is concerned. But it could also be decisive for Sporting Braga who are still in the title fight. Minho’s warriors are 5 points and in case of victory they shorten to 2. A defeat for Sporting Braga will be practically the goodbye in this fight to three for the title of champion. FC Porto has 63 points and is the 2nd place in the Liga NOS. He has the same number of points as Benfica (1st place) and 5 more than Sporting Braga who is 3rd and his opponent on this journey. The dragons only lost 1 of the last 5 games in Liga NOS, was precisely against Benfica (1-2). In addition 4 triumphs, 2 of them in the trips to Santa Maria da Feira (1-2) and Tondela (0-3). Sporting Braga are again in a good period with 3 consecutive victories. But, the “Achilles’ heel”, from the minhotos, have been the games with the great. This season already lost with the dragons, (1-0) game of the first round, and (3-0) in the game to count for the Portuguese Cup. There is no way to ignore the poor results of Sporting Braga, this season, in the duel with the big three. (3-0) in Alvalade, (6-2) at Estádio da Luz, (3-0 and 1-0) at Estádio do Dragão and (1-1) at home with Sporting. It remains to be seen whether the factor home will be so decisive to be able to give here a very different answer. The draw does not serve the interests of any of the teams, so we will hardly see a game without 2 or more goals. With a price of 1.40 in Malina, it will be a good choice as a sure bet. Over 1.5 goals.